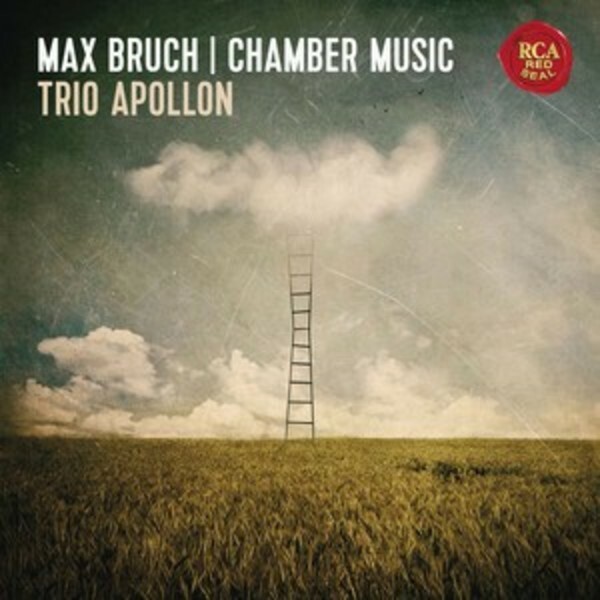 The new release by the acclaimed Trio Apollon concentrates on Max Bruch’s (1838-1920) music for clarinet, viola and piano. In 1990, Felix Schwartz, 1st principal violist of the Staatskapelle Berlin, Matthias Glander, 1st solo clarinettist of the Staatskapelle Berlin, and Wolfgang Kühnl, professor of piano and chamber music at Berlin University joined to form the Trio Apollon. Little did they know the musical success they would experience, with 2015 marking the 25th anniversary of the ensemble, unchanged in its line-up. Trio Apollon have gained an enviable international reputation, exhibiting their great virtuosity and unmistakable warm sound at performances in the Berlin State Opera, New York's Carnegie Hall, the Berlin Philharmonie, Tokyo, London and Paris. Numerous highly acclaimed CD recordings were performed by the trio. Trio Apollon’s album 'Water Games' (Warner Classics), with works by Françaix, Poulenc, Enescu, Kurtág and Matthus, received the ECHO Klassik 2006 for the best chamber music recording. The trio’s repertoire extends from the Viennese Classical period, through the German romanticism, and up to contemporary works. Numerous well-known contemporary composers have dedicated works to the Trio.